Want to leave messages for your roommate? 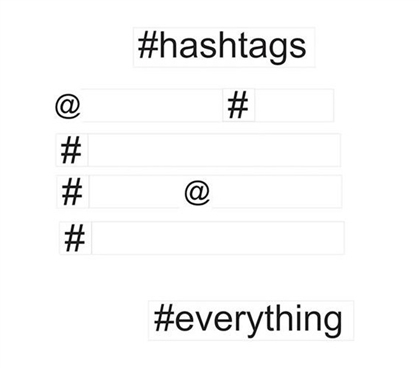 What better way to do it than with our Peel N Stick Hashtag Wall Words Wall Art! Get creative with what you want to say and how you're feeling by putting it in our Hashtag dorm wall art. 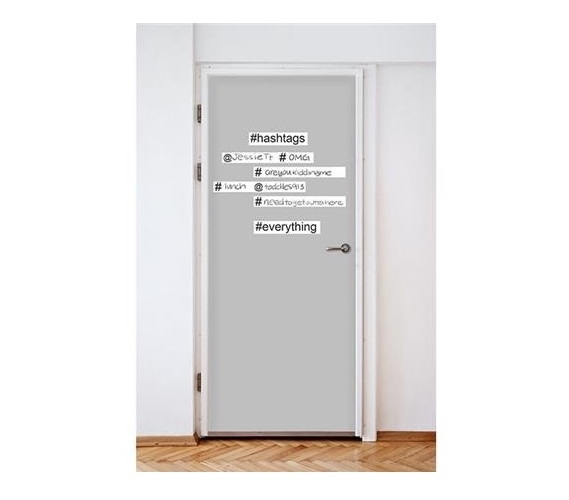 Tell a story or write a poem all with our hashtag dorm room decor kit. Who knew dorm wall decorations could be so fun! Our Peel N Stick Hashtag Wall Words Wall Art works like a sticker- simply peel them off the panel and stick them onto your dorm wall wherever you want. This dorm essential is safe and won't cause damage to your dorm walls. Put it up on your dorm door and then changed your mind where you wanted it? This college supply is also repositionable! That means you can change up your dorm room decor whenever you want to right down to where you put your message boards. Why settle for a plain message board when you can have something totally fun like our Peel N Stick Hashtag Wall Words Wall Art.